Beautifully renovated single story with open concept floor plan! Vaulted ceilings compliment the plank style flooring, two toned paint and modern squared baseboards. 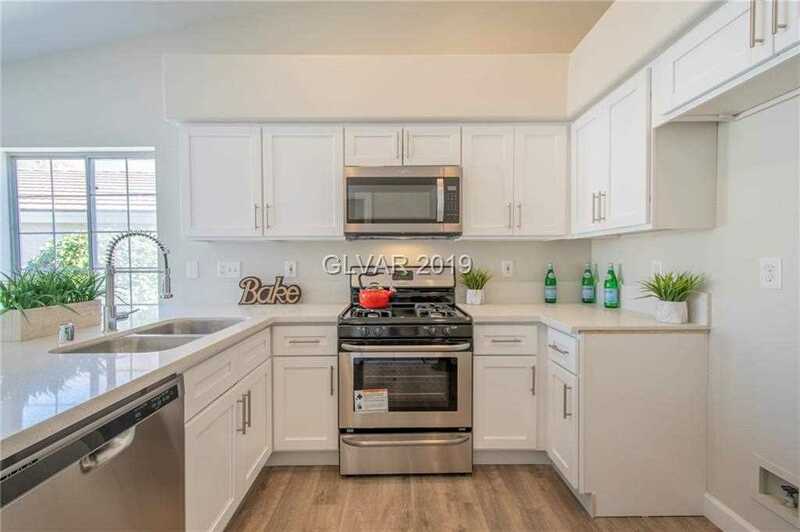 Brand new kitchen with white shaker cabinets with self closing hinges, quartz counter tops, stainless steel appliances and all new plumbing fixtures and hardware. Spacious master bedroom with spa like en suite with large soaking tub. Closets feature custom built ins! Wont last long! Directions:Summerlin Pkwy and Town Cente, North on Town Center, complete u-turn in the traffic circle, turn Right on Spring Gate, Left at Double Rock, Left at Panaroma Cliffs. SchoolsClick map icons below to view information for schools near 9713 Panorama Cliff Dr Las Vegas, NV 89134. Listing provided courtesy of Galindo Group Real Estate.